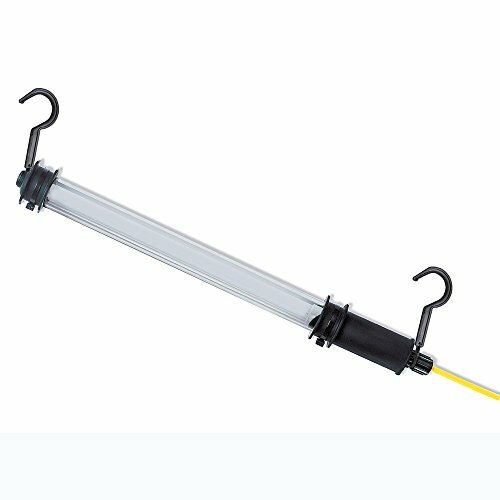 Handi-Light by Jameson is a heavy-duty fluorescent work light that demonstrates superior impact resistance while providing a bright white light to illuminate your work area. This portable work light features a shock-absorbing handle and end cap as well as a shatterproof tube for rugged durability. The electronic ballast reduces heat output and prevents flickering. Meets ASTM specifications for water resistance.